Everyone wants to avoid unnecessary conflicts at workplace. However, conflicts are inevitable, and so it’s more important to learn how to deal with them. 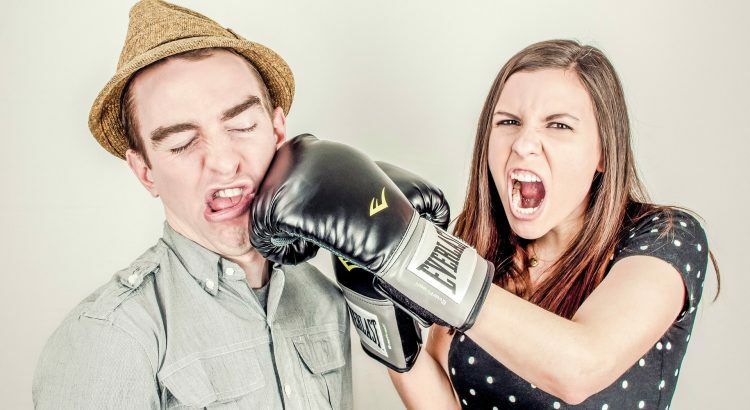 Conflicts aren’t always a waste of time; sometimes, these conflicts help to recognize the prevailing issues among team members, which help in resolving the matters with ease. Conflicts are not good for business. They not only waste precious time and incur losses, but also hurt the company’s reputation. These tips will help you to avoid unnecessary conflicts, so that everyone can work together as a team and do so in a peaceful manner. Some people believe that the best way to avoid a conflict is by simply ignoring it. However, this strategy doesn’t work, as it only puts a temporary hold on the conflict. It is crucial to identify a conflict the moment it arises, so that the conflict can be resolved as soon as possible. At times, the conflict has nothing to do with the workplace. Some employees bring their personal problems to work, which gives birth to arguments and disrespect towards others. So, it is important to not let the stress from your personal life be carried onto your professional life. If you are dissatisfied with your position, or something else is making you unhappy at work, express your problems in a formal manner. Employees should express their dissatisfaction through an email. They should keep a professional tone and avoid all kinds of personal attacks. Some organizations ask their employees to interact in a friendly manner. This is fine, but one must know his limits. To avoid conflicts, it is always better to address your colleagues respectfully; especially the ones who are senior to you. If an argument does take place, arrive at a mutual agreement as soon as possible. Even small conflicts can quickly escalate, when one focuses on ‘winning’ an argument. It’s important to realize that there’s no such thing as, “Winning an Argument”. Use an organizer, or a planner to stay ahead of things. Missed deadlines put immense pressure on the employees and can severely impact the quality of work. Focus on meeting the deadlines so everyone remains satisfied with your input. At workplace, one must behave like a professional. It isn’t your bedroom, so don’t act too casual. Professional employees are highly respected, which is why they are always kept away from conflicts. In every organization, there are employees who always remain unhappy. Do not spend your time with such colleagues and take on their negativity. Spend more time with happy and satisfied colleagues to improve your thinking and look at the brighter side of things. Some employees continue to complain about the things that they are unhappy about. This doesn’t solve anything and is not beneficial for anyone. Instead of complaining regularly, they must contact the right person and seek a proper resolution. Don’t escalate small conflicts unnecessarily. Instead of involving higher authorities, you can resolve such conflicts through mutual agreement. At a professional workplace, no one’s going to teach you how to behave like adults. At times, conflicts are useful. But generally, they just waste everyone’s time. Keep in mind that hard work is important at workplace, but so is a professional behavior.